The following guest article demonstrates exactly why parking minimums are such a huge problem, using an example from Pocatello, Idaho that should prove relevant for towns across the country. Old Town is probably Pocatello, Idaho’s most cherished neighborhood. It has its own challenges and it’s not the most affluent area of the city. But still, this older neighborhood of historic houses and storefronts squeezed between the railroad and the river is where we come to have our portraits taken. It’s where we have our parade of lights at Christmas and hang flower baskets in the spring. We put pictures of it in our promotional materials and our comprehensive plan. We value Old Town so much that we actually protect it with a historic district designation so that it won’t be lost. If we valued the way this part of the city was built so much, you’d think we would want people to build more neighborhoods like it. And maybe we do. But our laws make that impossible. 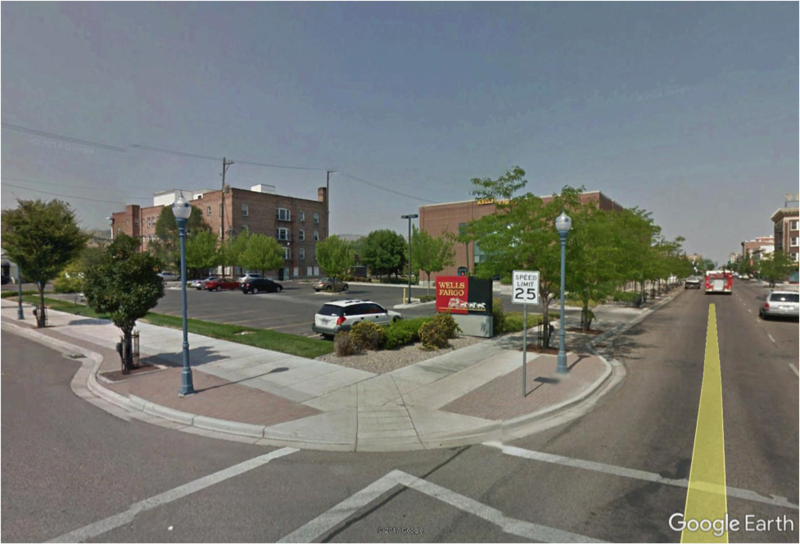 Like most cities in America, Pocatello’s city code sets minimum parking requirements for all types of new development, and the reality is that these parking minimums forbid anyone from ever building a neighborhood that looks remotely like Old Town anywhere in Pocatello. Take a look at the numbers. 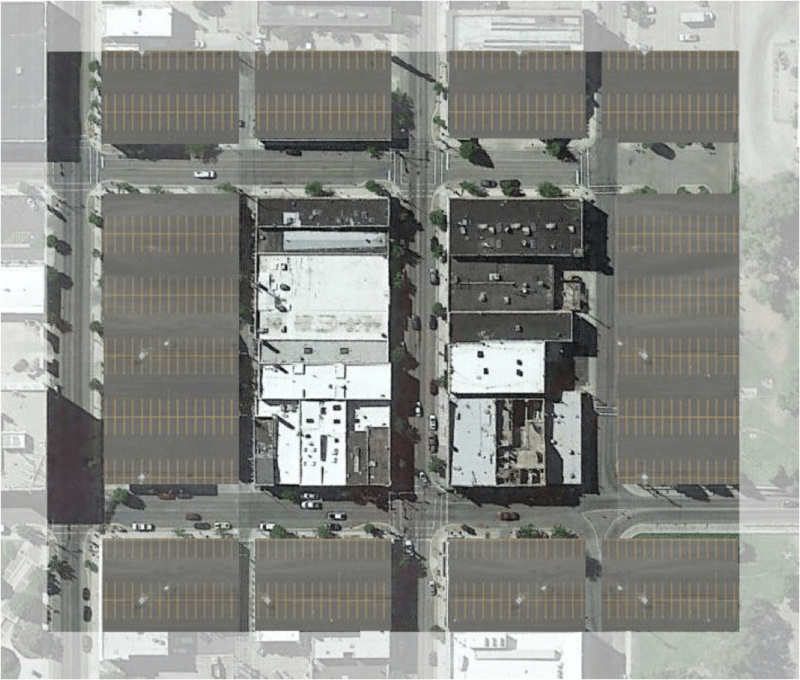 Office and retail uses require 1 parking space for every 250 square feet (SF) of floor area. When you include the driving lanes, landscaping, etc., each parking space requires at least 300 SF of parking lot (with a very efficient layout). That means, according to the code, your parking lot is required to be larger than your building. For restaurants, bars, and medical offices, a parking space is required for every 200 SF of floor area, meaning the parking lot must be at least 150% the size of the building. Similarly, apartments require 2 spaces per unit, and considering that a lot of the older apartments are less than 600 SF, they would require more parking lot than building space as well. This is all assuming single-story buildings. If you want to build two stories, of course, the parking lot has to double, and so on for each additional story beyond that. It should be clear from these ratios that we could never allow a full block of side-by-side single story storefront shops along a sidewalk. The block would have to be at least half parking lots, probably more. A block of two story buildings is even farther from the realm of possibility. Let’s assume some well-intentioned developer wants to create a pleasant, walkable neighborhood of shops and offices for the benefit of Pocatello residents in some other part of the city. Let’s say just one street. Here is one block of Main Street. The blocks are 300 feet long and the buildings average about 2 stories. Let’s say, based on the code, that the ratio of building floor area to parking lot is 1:1.2. In order to build this one section of street, this is the amount of parking that would be required. You could do it, but it’s hardly a neighborhood; it’s just a bit of strip development. And it can’t be connected to a neighborhood because of its buffer area of required parking. You could build a few clusters of these separated by their parking lots, which is essentially the typical auto-oriented development we have along the highways. Or you could combine more of them into a larger conglomeration surrounded by an even larger parking lot, which is essentially a mall. What you can’t build is an actual downtown. This means that Old Town can never grow and expand in the same pattern that we love so much, and that we can never infill the empty paved lots where buildings have been lost. In order to build a two-story downtown infill building, you would have to tear down an equally sized building on each side to build your parking. Here’s an example of best practices for a new building in Old Town. In 1993, First Security Bank (now Wells Fargo) built a new building on Main Street at the south end of Old Town. They made every effort to reflect and contribute to the character of the neighborhood. It’s two stories, built up to the corner, has an entrance on the sidewalk, and is clad in brick with some historically inspired detailing. 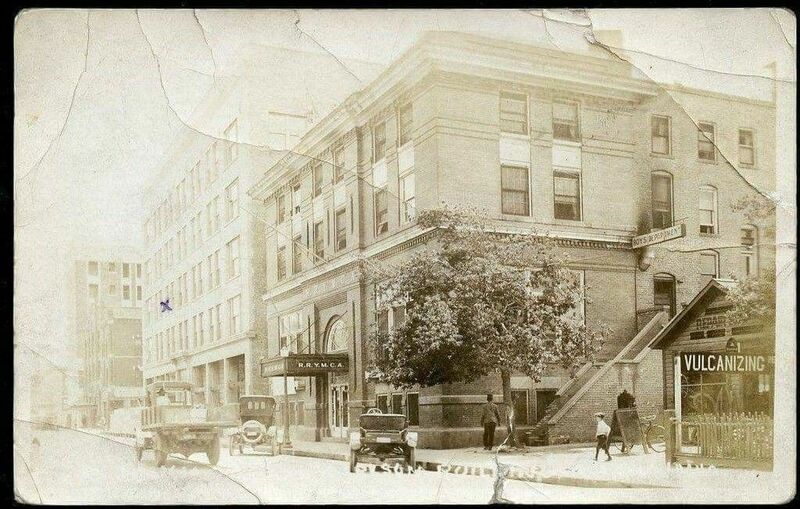 But in order to create the downtown character on one corner, two other corners had to become permanent parking lots, which cover more than twice the area of the building itself. In fact, now this largely empty parking lot essentially marks where the active portion of Main Street stops. Infill isn’t possible, either. In the first place, most of the empty lots have been turned into parking lots for the adjacent buildings. Can they be rebuilt to what they once were? In short, no. Once it’s become parking, it has to stay parking. The downtown building stock can only be eroded, not replenished. But let’s assume we were allowed to build on some of those empty lots. What would be required? Pocatello used to have a beautiful 4-story YMCA building that tragically burned down and is now a half-empty parking lot for the adjacent building. Here is an aerial of the location where it once stood, along with another showing the amount of parking that would be required if we were rebuild it today. Essentially, we would have to wipe out the remaining half of the block. So are we to believe that we’re better off with the few stalls of parking there currently than we would be to have the old building back? An even greater tragedy was the Chief Theater on Main Street. Of course, you couldn’t do that because the other buildings on the block are protected as part of the historic district as well, and rightly so. So you couldn’t legally rebuild it at all. That’s not to say that the city wouldn’t be willing to make an exception in this case. Our city staff are excellent. They see the value in infill, they want to help, and they want to make these sort of projects work, but they have to fight their own code to do it. Why do we have a code that requires exceptions in order to build the neighborhoods we like the best? Why does it, by default, forbid the very building types that we are trying to preserve and protect? 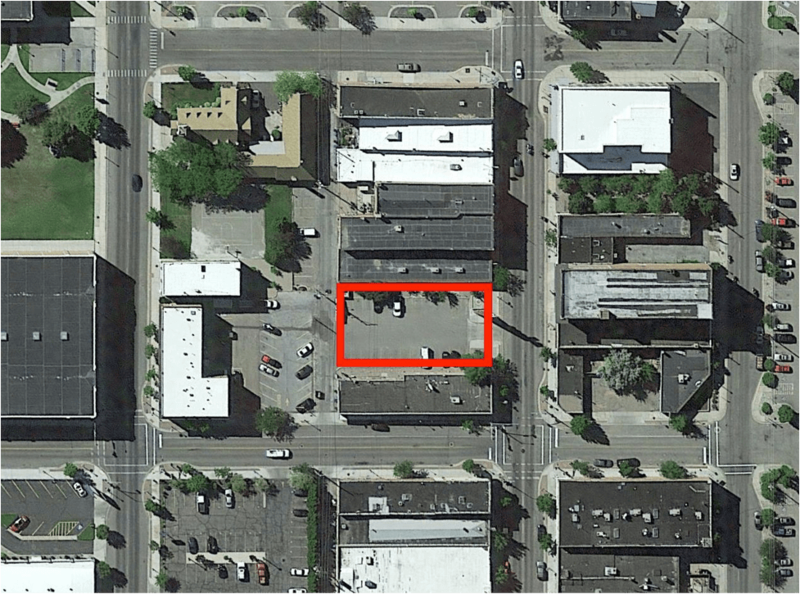 The stated purpose of the parking requirements is “to provide adequate parking so as not to negatively impact adjoining properties.” (Pocatello City Code, section 17.05.510, emphasis added). By that reasoning, the Chief Theater, with its zero off-street parking spaces, was negatively impacting adjacent properties. Of course, everyone knows that’s not true (just ask the owners of the restaurants, hair salons, bars and and retail stores in the adjacent properties if having a 1,200 seat theater next door would negatively impact them), but that is the reasoning with which the code is written. These parking requirements make no sense, and they're preventing the growth of beautiful, walkable and economically productive developments. It's time to get rid of them so that we can start building strong towns. Benjamin Ledford is an architect and landlord in Pocatello, ID. He, his wife and their 3 daughters live in the attic of a 100-year-old home, and it's quite charming.